The file named ASC_UNP.DLL is developed by Ahn Labs Incorporation. It is a non-system process which can be disabled or uninstalled without any consequences on system performance. If the program is hijacked by the Trojan, it may occupy more space, hog memory resources and slow down the system. ASC_UNP.DLL is located in C:\Program Files\ahnlab\v3lite\asc\984\asc_unp.dll. The total file size is 387.9 kilobytes. Most DLL files are usually lesser than this size but this particular program can be more which is common for the program. The latest version of the file available is 2.15.0.2. The program is digitally signed and verified by Verisign Incorporation. How to check if your computer is infected with ASC_UNP.DLL malware? How to remove ASC_UNP.DLL malware from system using Comodo Cleaning Essentials? 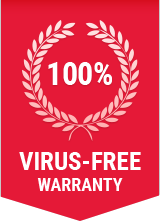 You can either choose to remove ASC_UNP.DLL and other malwares using Comodo Antivirus, or Comodo Cleaning Essentials (CCE) – both of which are absolutely free to download! CCE is a set of computer security tools designed to help you identify and remove malwares and unsafe processes from an infected computer.